bok [Developer's Note] Ru and Kapeluna's Guardian Ru !! [Developer's Note] Ru and Kapeluna's Guardian Ru !! Thread: [Developer's Note] Ru and Kapeluna's Guardian Ru !! Hello, this is Developer N.
Here, I'm going to introduce new characters, Ancient Altria's Descendant [Ru] and Kapeluna's Guardian [Guardian Ru]. After the collapse of Altria civilization, [Ru]'s ancestors Kapeluna clan had been threatened by powerful monsters. In order to survive, they were obliged to depend on Karima's power and belong to Karima. Ru was raised by Karima and learned how to survive including [Jungle's rule] from them. As Altria was discovered by pioneers, Karima was obliged to conflict with the pioneers who want to explore Altria, their home. The Guardian of the ancient Altria tribe that worships bulls. Guardian Ru is simple and innocent. And he helps the weak and has the good judgement. Called as [Mad bull] by [Dragovan], he's trying to protect ancient Altria civilization. Q: What made you develop Ru this time? 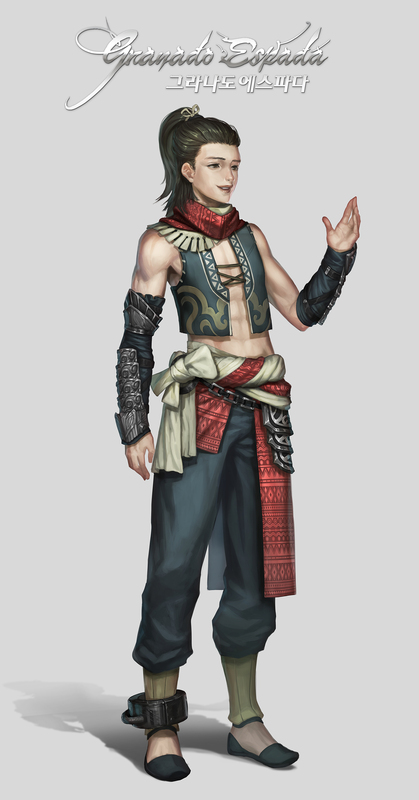 A: For Altria 2nd update, we added the concept of the tribe that worships bulls. 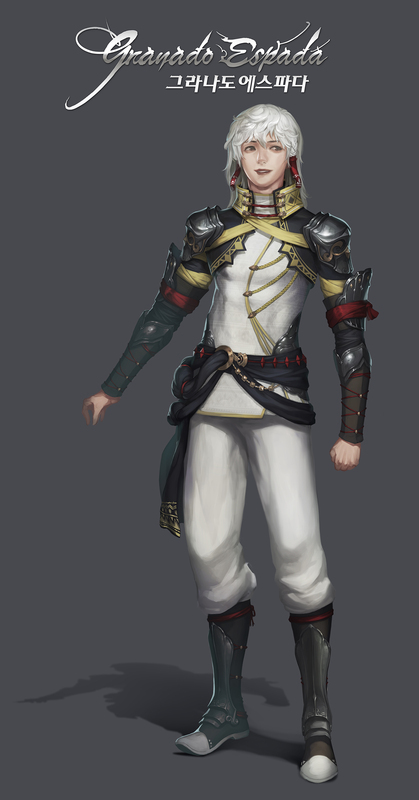 And for the concept, we needed to create the male character that fits into large-sized weapon [Crescent]. There was no character that used [Crescent] after [Nar] and [JD]. We don't want to miss the chance to create a new character that fits into both concepts. For another reason, we wanted to depict the character living as an animal or a monster, disregarding [human] identity. Q: Does he have any special relationship with [CoA] of 1st update? A: Not at all. You can consider the relationship of [Ru] and [CoA] as only wild beasts searching for the same food. However, for [Guardian CoA] and [Guardian Ru], they have the same feature of Guardian of each tribe. This shows the possibility that other [Guardian] characters can appear later. Please, check their following characteristics! - Ru and Guardian Ru use [Crescent]. - They wear [Leather Armor]. As [STR] and [HP] are high, they are expected to make an excellent performance in the middle and close battle. [Ru]'s Job Skill [Makethtau] increases [STR], [DEF] and increases Satiety up to 200. Thus, [Ru] can eat more food than other characters and and enjoy more buff efficiency. [Guardian Ru]'s Job skill [Quatanaru] gives the buff that can strengthen character's [Attack]. ATK and ATK to monsters sharply increase and A.R. rises. Karima is [Ru]/[Guardian Ru] exclusive Melee stance. [Karima] clan's combat tactic was applied. Defense type is [Blocking] and twice general attacks give [wide-area damage]. Karima is aggressive-type Melee Stance. - Cooldown: 3 secs. It attacks 3 enemies nearby. - Ignores enemy PC's DEF in proportion to [Caster]'s [STR]. - Gives extra damage to enemy monster in proportion to [Caster]'s [STR]. - Cooldown: 10 secs. Instant skill. It attacks enemy within 6.5m. - Cooldown: 30 secs. Recharge-type skill. Up to 3 times. - Max range: 10m. 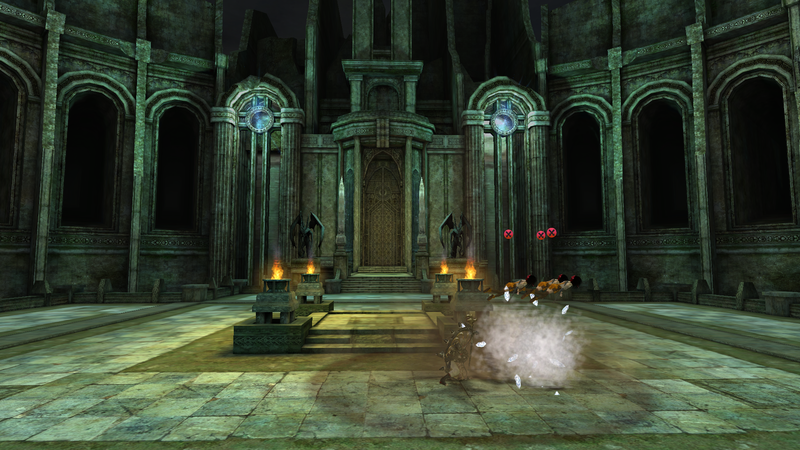 Up to a range of 10m, there is a little casting, and when casting a skill, it jumps to the target point and falls and attacks the enemy. - Can attack enemis in the air. - Cooldown: 60 secs. Max range: 14m/ Width: 6m. - Casting time is short. - Throws Crescent to attack enemy and catches it again like boomerang. 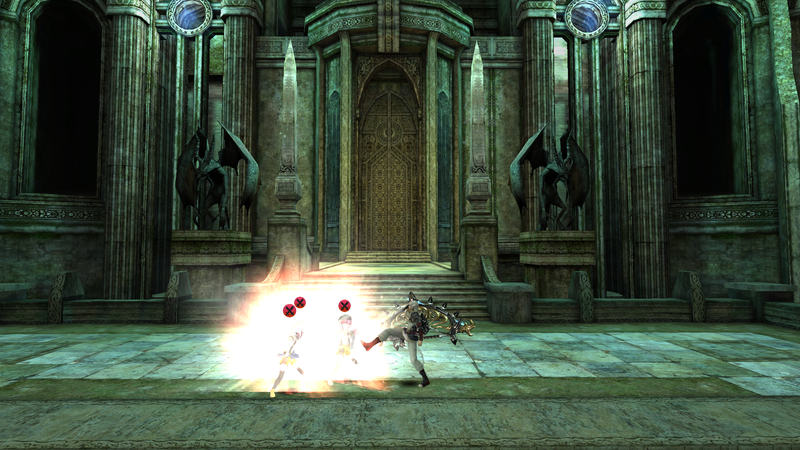 - Despite [Melee character], basic skill damage is set low to balance with short casting time and extra special effect. 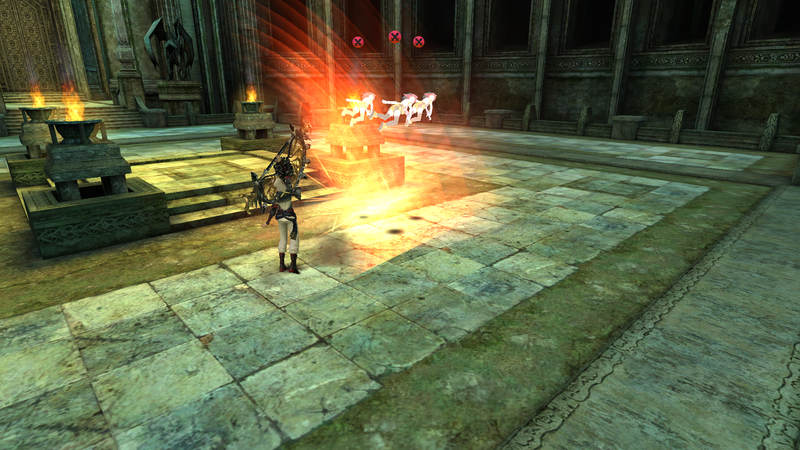 - Cooldown ranged from 17 seconds to 3 enemies nearby. - Gives enemies much damage with high skill ATK. - [Ru]/[Guardian Ru] can give much damage to enemies in proportion to [STR]. - [Ru] can gain max 200 Satiety. Strengthen [Ru] through various dishes. 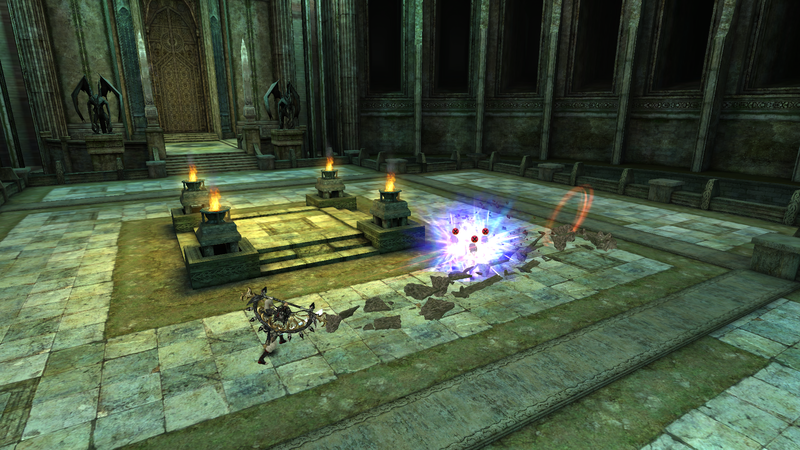 - Although stance [Karima] is [Melee] stance, it has various long-range attacks. Approach to enemies by using them before Melee attack. - [Guardian Ru]'s Job skill [Quatanaru] drastically increases characters' ATK. Until now, I introduced the new characters [Ru] and [Guardian Ru]. I hope that [Ru], the second character of Ancient Altria following [CoA] will lead [Altria scenariro] interestingly. We expect lots of love and support for Ru and Guardian Ru!! Hi, so is Guardian Ru's job skill for himself, the whole family, or the whole squad? My sources say that it`s 10\10 (ATK\Monster ATK) for family ,20\20 and +1 AR for Ru himself. Anyway, no cast time on his skills (well, almost. 2 skills have .5 and .2 cast time, and .2 sec is something ping-like for GE). But if his damage is equal or slightly better then CDaria or Doom- i`m gonna skip him,as i`m PvE-only. Aww...well, i`m "gotta catch`em all" anyway. But...I feel like skipping. Last edited by itsyous; 11-05-2018 at 11:54 PM. But it seems like Ru was nerfed on his way to KGE live. Fatsnake video had 25% 25% ratios on his job skill, while live is +10 +10. Double it for Ru- and Ru had a whooping +50% +50% buff instead of +20% +20% now. And probably that`s not the only number. While damage in vid seems crazy,i`ll prefer to wait for in-game tests, as some older chars got nerfed when released to KGE live too. Like...Kiss had 40 base ACC on Silver release. And, to be honest, i both love and hate current IMC approach to characters. They have waaaaaaaaay too much "hidden" (or better say "untold") stats, power-ups, ratios, etc. Last edited by itsyous; 11-06-2018 at 10:43 AM. lel IMC saying, "We need to give him some sort of food skill..."